The Falling Leaves Quilt top was completed in November 2011. A stunning top made with Denyse Schmidt's Hope Valley. I remember this quilt top very well because it was my first lesson in measure twice cut once! I cut all of the center blocks 1/4in too small! The fabric was out of print, of course, but luckily enough, it was indeed found ( on Etsy) and I finished this beautiful top. It was never quilted since I had no idea how to quilt such a beauty. So the quilt top has been folded on my vintage ladder in my sewing room, looking rather sad and unloved until I read a post from my friend Penny Barnes. If you do not know Penny, you should! 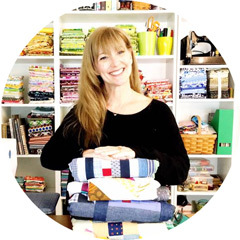 This lady rocked my little world last year by making a quilt for my son in Afghanistan. 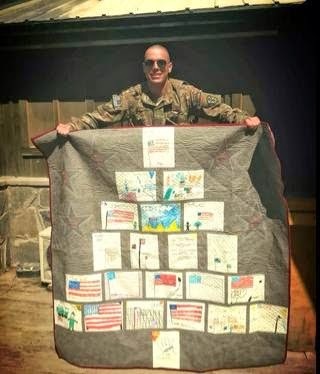 She, her son and his class of second graders made the most wonderful surprise quilt for Michael. She is honestly the most giving person of her time, her talent and, mostly, her love. When I saw on Facebook that Penny was collecting quilt tops and quilts for Kayla Rose. 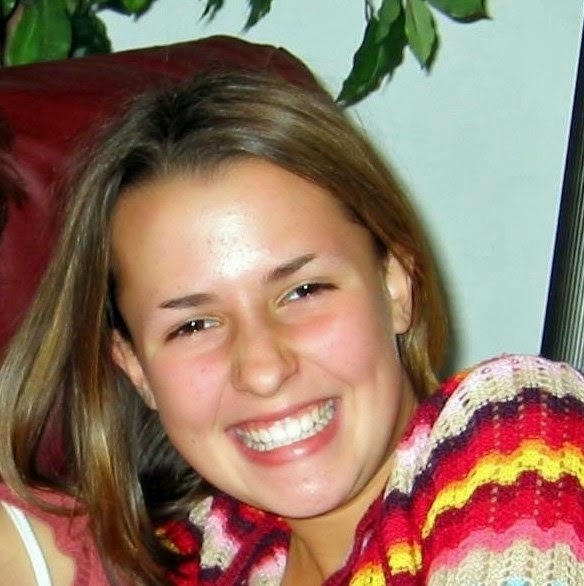 Kayla's family lost her to cancer in November 2003. These quilts in her memory to be delivered to Pittsburgh Children's Hospital on Feb 14, the day Kayla was born. This is the photo of Kayla that her family shared. I cannot imagine how difficult it would be to watch my children suffer through cancer treatments. I cannot imagine losing a child. My heart goes out to this family and any family with children that are sick or have been lost. When I saw Penny's post, I knew the quilt top was meant for her. I cannot imagine a more appropriate place to give such a beautiful bright quilt. It is the very least I can do. Penny quilted it up and brought it to life ( as talented longarmers seem to do) and here is the finished quilt that will be joining many others ( thank you everyone) to provide love to children in need. Here is Penny with a stack of beauties of the quilts to be shipped! Thank you Penny for organizing such a beautiful memorial to a swat girl and quilt drive! Those quilts will bring a lot of joy. What a great idea. The children in the hospital will love the quilts. Yours turned out beautiful. Always so rewarding to give ! 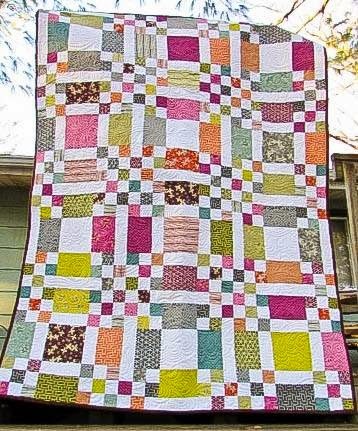 That is so wonderful and the perfect ending for a very pretty quilt. 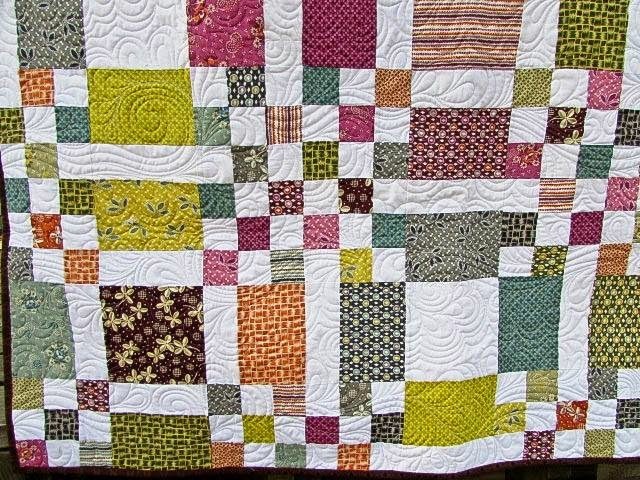 What a lovely idea :o) I think sometimes unquilted tops are destined for better than our WIP piles! What a gorgeous quilt! I'm sure it will bring some sunshine, love & light into someone's life. A very worthy journey. Well done!